Published by Llewellyn Worldwide in 2000, The Mars Venus Affair serves as the basis for Your Mars and Venus Playbook, which is available on our website. 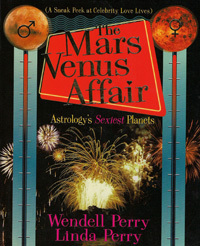 The book contains a longer sexual profile of each of the primary examples of the Mar/Venus types. Though "The Mars Venus Affair" is currently out of print, we have a few copies available for sale for $23 (includes shipping) within the United States. You can order the book directly from me by clicking on the PayPal button, below. (You do NOT need a PayPal account to pay through PayPal. PayPal also accepts your own Visa, MasterCard, etc.) Thank you! 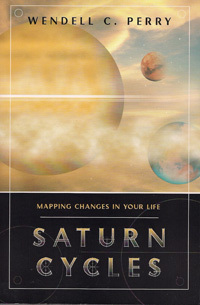 Published by Llewellyn Worldwide in 2009, this book describes how the cycles of Saturn, relative to its natal position and to the angles of the horoscope, changed the lives of 24 notable people. The theme of the book is simple. When Saturn impacts your horoscope you are forced to make important choices. The examples are divided into two groups, Saints and Sinners. The Saints are those people who made positive choices during their Saturn transits and the Sinners are people who did not. You can order this book directly from me for $23 (includes shipping) within the United States. 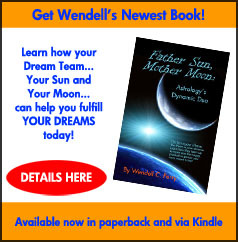 You can order the book directly from me by clicking on the PayPal button, below. (You do NOT need a PayPal account to pay through PayPal. PayPal also accepts your own Visa, MasterCard, etc.) Thank you!